Heads up mommies and daddies. There's a Katie show that taped today that I think many of you might want to see. One that likely will have broad appeal to working mothers and fathers with kids -- both those who work at home, like us bloggers, and those with families who commute to their jobs each day. 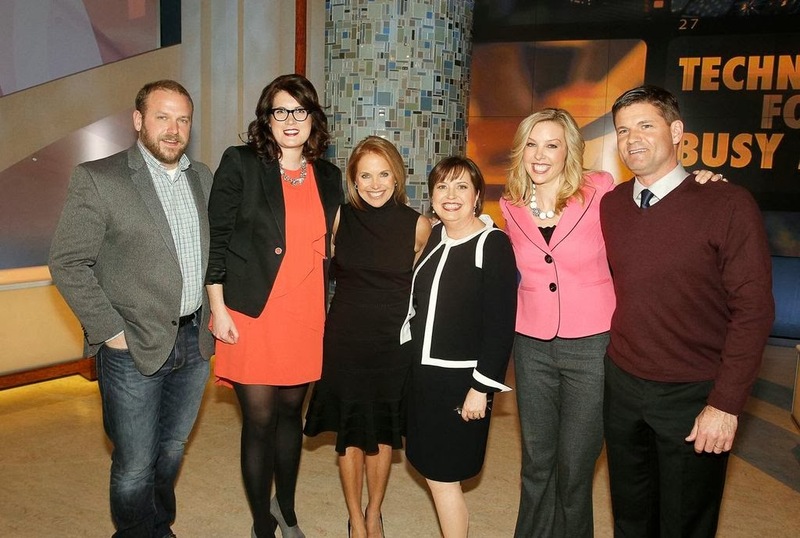 Airing today, Katie Couric hosts the latest episode of her show: Breadwinning Moms, The New Reality in American Families. On Thursday's program, moms who contribute financially to the family household will share how they do it all and reveal how their roles mesh with expectations as working women, wives and moms. Leading the discussion, Carol Evans of Working Mother Media will weigh in on some of the key findings in a new study known as "Breadwinning Moms: The Working Mother Report." The research, for example, found that as moms continue to cultivate successful careers at the office and dads are more hands-on at home, the traditional concept of the modern family is changing. The syndicated Katie daytime talk show airs nationwide. Use the KatieCouric.com station finder or check local listings for times and channels. FTC Disclosure: Inspiration for this post and the photo featured were provided by the Katie show. No payment or other compensation was exchanged in connection with this post. See complete FTC Disclosure information that appears at the bottom of MommyBlogExpert's home page and at the bottom of every individual post on this blog, including this one.